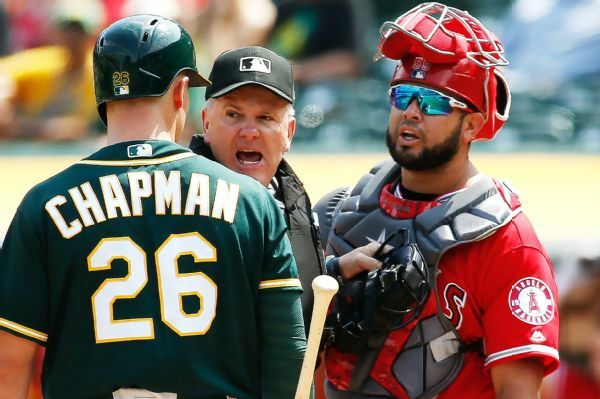 Angels catcher Juan Graterol stood by his assertion that A's batters were peeking back at his signs to the pitcher during Wednesday's game. 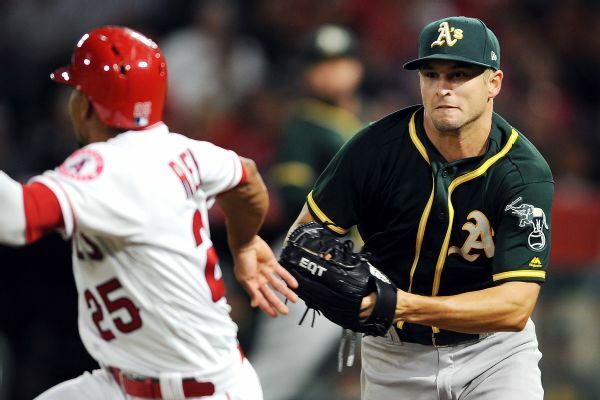 Kendall Graveman became the first A's pitcher since Blue Moon Odom in 1971 to pull off an unassisted double play. 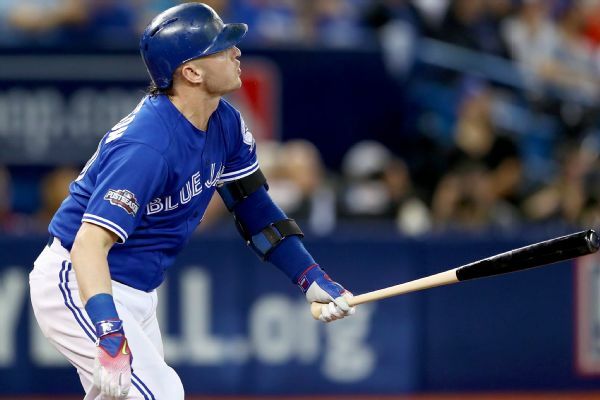 Blue Jays slugger Josh Donaldson has been placed on the disabled list due to a sore right calf, the first DL stint of his career. The champs need a closer. 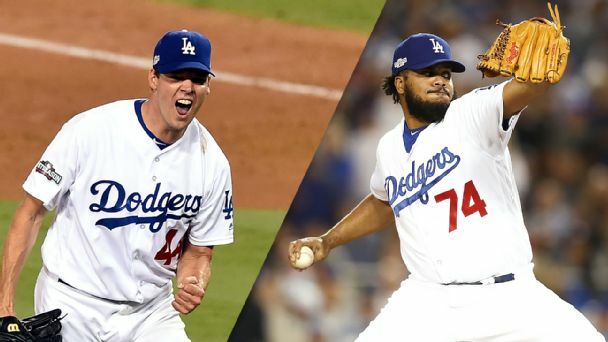 The Dodgers must find Clayton Kershaw a wingman. 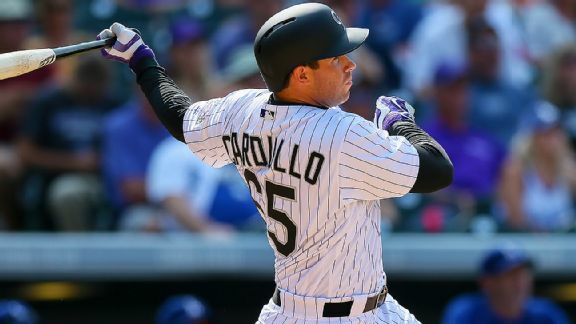 Here's what's on the agenda as the winter meetings hit D.C.
School is back in session so we take a look at some MLB "freshmen"